Apart from powering the new Ciaz, the 1.5 liter diesel engine will also power other Maruti cars like Ertiga, S-Cross, and Brezza. We already know that unofficial bookings are open for the new Maruti Ciaz 1.5 diesel at Nexa dealerships, for a down payment of Rs.11,000. With launch set for sometime in February, new details have now been leaked by Team BHP member Leoshashi. As per these leaked details, the new Maruti 1.5 liter engine is codenamed E15. It has an all aluminium block, which helps in keeping the weight lower. Compared to the existing 1.3 liter DDiS 200 engine, NVH levels have been improved considerably. The key highlight is driveability. 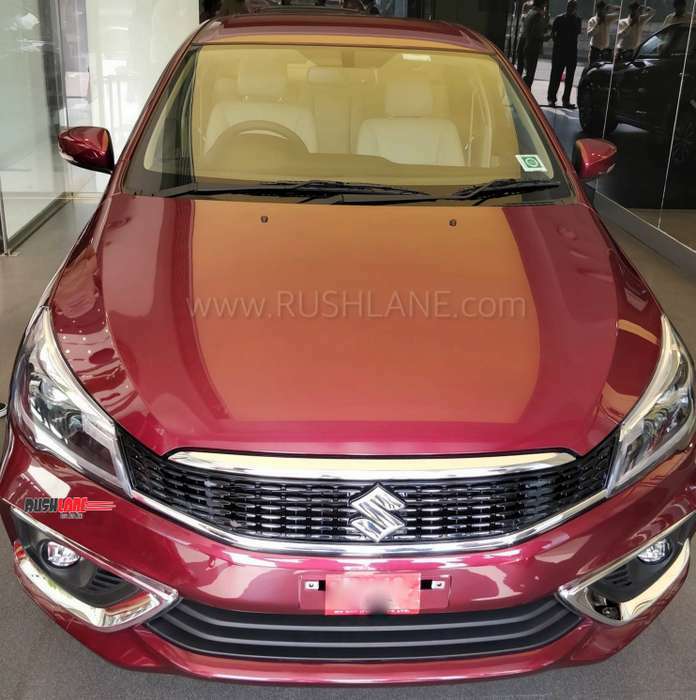 New Maruti Ciaz with 1.5 liter engine has much better driving dynamics than before. This has been largely made possible due to a more powerful engine, which has non existent turbolag. Variable Geometry Turbocharger ensures that the engine delivers power and fuel efficiency. Exhaust Gas Recirculation (EGR) process has been improved, and is much better than current 1.3L diesle engine. EGR is now vaccuum controlled. Just like the now discontinued 1.6 liter S-Cross, this one also does not have a separate throttle body. Exhaust manifold construction looks similar to the 1.0 liter Boosterjet powered Baleno RS. The engine will be BS6 compliant, but at start it will come as BS4 ready. BS6 variants are expected to start production by Jan 2020. Current Maruti 1.5 liter Ciaz petrol. 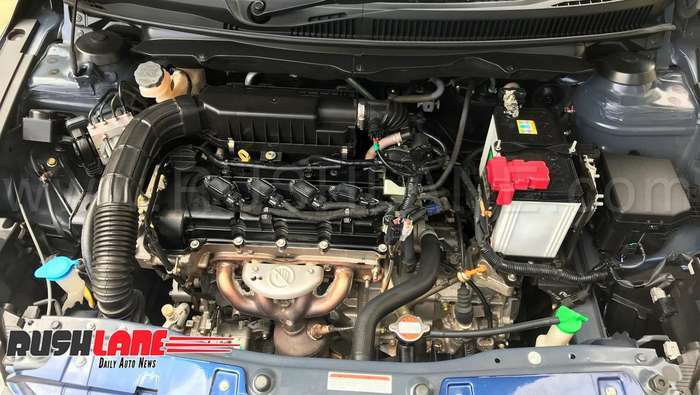 This engine is developed in-house by Maruti Suzuki. It will offer 95 hp power at 4,000 rpm and 225 Nm torque at 1,500-2,500 rpm, claiming fuel efficiency to the tune of 26.82 kmpl. This fuel efficiency will be 1.27 kmpl less than that offered by the 1.3 liter diesel engine, but still, notably higher level of fuel efficiency over its rivals. The new 1.5 liter diesel engine that will power the new Ciaz, will not receive mild hybrid SHVS system. For now, the 1.5 liter diesel engine variant will be sold alongside the 1.3 liter Fiat sourced diesel engine variant. The new 1.5 liter diesel will only be offered on the Delta, Zeta and Alpha variants with the smaller and older 1.3 liter engine to power the Ciaz Sigma variant. Once launched, expect the new 1.5 liter Ciaz diesel to compete with the Honda City and Hyundai Verna on driving dynamics aspect as well.